NGO Mondo Brilliant Fund was created to support students and promote education in the destination countries of Mondo. In the framework of the Brilliant Fund, a donor can either make a yearly fixed donation of €50 for a primary school child, of €100 for a special needs child in Ghana or Kenya, or to make a single donation of selected sum into the joint fund, which we use to support education of vocational–, secondary–, and boarding school students, and schools in Ghana, Kenya, Burma, and Afghanistan. 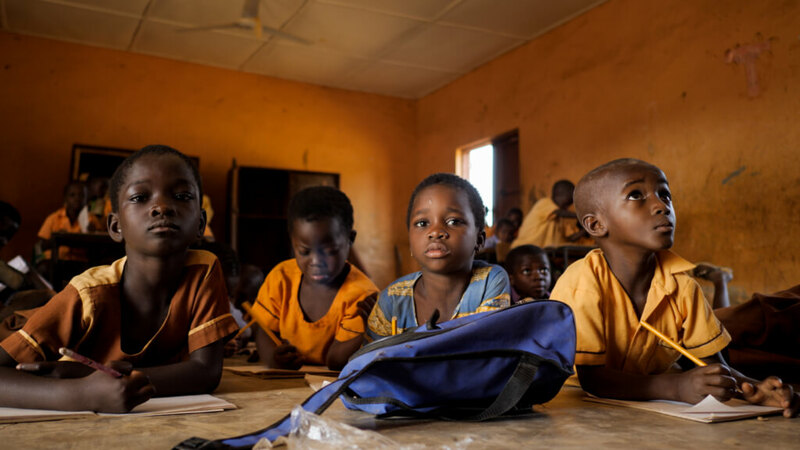 NGO Mondo has supported the education of primary school children in Ghana since 2009, and in Kenya since 2011. Supported children in primary school are from families that suffer from extreme poverty, and therefore student performance records are not taken into consideration when choosing participants for the program. The children are chosen upon joint consensus between women’s associations that participate in our development cooperation program and the board of our partner organization. We support children from as many families and regions as possible to decrease the school-related financial burden of as many families as possible. Every child has a fixed supporter in Estonia, who receives information about the child’s well-being through Mondo. Every year, approximately 200-240 children go to school in the Kongo village of northern Ghana, and the Shianda village of western Kenya thanks to support from Estonians. Since tuition for secondary school is quite expensive in the context of the local life (from €150 a year, depending on the school), then children from extremely poor families or orphans cannot continue their education after primary school without help from outside. Since 2013, we offer an opportunity to continue their studies in a secondary or a vocational school to those Ghanaian and Kenyan children, who have graduated from primary school with the help of Mondo’s support program with exceptional results. In the 2017/2018 school year, 42 Ghanaian, and 49 Kenyan secondary school students continued their studies with support from the Brilliant Fund. In 2016, we also expanded the support of the Brilliant Fund to Burma, where nine village children from an ethnic minority in the Shan State have an opportunity to live in a boarding house built by a partner organization of Mondo, and continue their studies in the Namlan High School. According to need and the amount of collected donations, we direct the money from the Brilliant Fund to other countries of destination, too – for example, in 2016 we collected money for the Fatima Zahra School for Girls in Jalalabad, Afghanistan, a school that has been kept up and running with aid from the Estonian development cooperation funds since 2012. Since supporting a primary school child is long-term in its nature, after filling in the registration form, we kindly ask new supporters to conclude a monthly standing payment order agreement at their bank with a selected period length that starts at August 1. We recommend to conclude an open-ended agreement that does not require renewal, but that can be terminated at all times. To do so, the “valid until” section should be left empty. Supporting vocational- secondary-, or boarding school students requires a single payment, and we collect them all year round. For the period 2018-2019 Mondo seeks funding for the following projects. When you make a donation, please specify which country project you would like to support. Mondo has cooperated with schools in the Eastern part of Ukraine since 2015. Our educational program encompasses 25 schools in Lugansk oblast with a total of 5000 students. Mondo operates human rights and global education training programs and helps to improve the teaching and learning environment in the schools. Your donation to the Mondo Brilliant Fund in Ukraine helps to buy equipment for science classes and set up active recreational spaces for students. Kikooba Primary School is located in Kiboga District, two hours from the capital Kampala. The region was affected by the bush wars of the 1980s and is now inhabited by extremely vulnerable people. The school struggles economically – teachers’ salaries are not paid on time, feeding of the children is inadequate, and children who live far away tend to drop out of school. Your donation to the Mondo Brilliant Fund in Uganda helps to set up a boarding section (bunk beds, mattresses, mosquito nets) for the 2019 school year with an initial aim to accommodate at least 20-30 students. Mondo has a Myanmar partner organization called the Centre for Rural Education and Development (CRED). CRED offers education in the northern part of Shan state where people live in scattered mountain villages. Lack of infrastructure and extreme poverty mean that only 40% of Shan children receive a basic education, and less than quarter of them continue on to primary and secondary education. Your donation to the Mondo Brilliant Fund in Myanmar contributes to the 3000 EUR Mondo needs to raise in order to allow 10 Shan children to attend school for the period 2019-2020. The Fatima Zahra school is run by a Mondo partner organization named Afghan Disabled and Vulnerable Society (ADVS). It offers education to 250 female students, all of whom are orphans or the children of war victims. Mondo has been supporting the school since 2012, and the majority of funding comes from the Estonian Ministry of Foreign Affairs, which covers teachers ‘salaries and school items (eg. textbooks and other materials). Your donation to the Mondo Brilliant Fund in Afghanistan contributes to the 2000 EUR Mondo aims to fundraise in order to offer education to girls in the most vulnerable part of Afghanistan throughout 2019.